This article provides information about structure of the process template in Visual Studio Team System. It shows how a simple change which is most frequently required, that of deleting and adding the activities in the process can be achieved. Process is a set of activities which are conducted in a specific order to achieve the desired results. Every type of business and industry has processes to provide the products or services to customers. These processes define what needs to be done in a specific order which will result into creation of the required product or providing the desired service. Processes adopted by each industry, each business and each organization are different from others. A single organization may adopt one process to create a product of a type and adopt altogether other process to create another product of another type. For example, Tata Motors may use one process to create a truck whereas use other process to create a car. Software creation also follows certain process. Every organization that develops software has its set process containing various activities like requirement gathering, creation of functional specifications, designing a solution, development, testing and debugging and finally deployment of the product. The process may defer to have some other activities and / or some other order of activities from company to company and from project to project. A process which is adopted at the beginning of the project without any is called a process template. It has a set of activities in a specific order. Usually the best practices of the company regarding the activities of the project and their order appear in a process template. Traditionally, Microsoft has provided a process template called Microsoft Solution Framework (MSF). 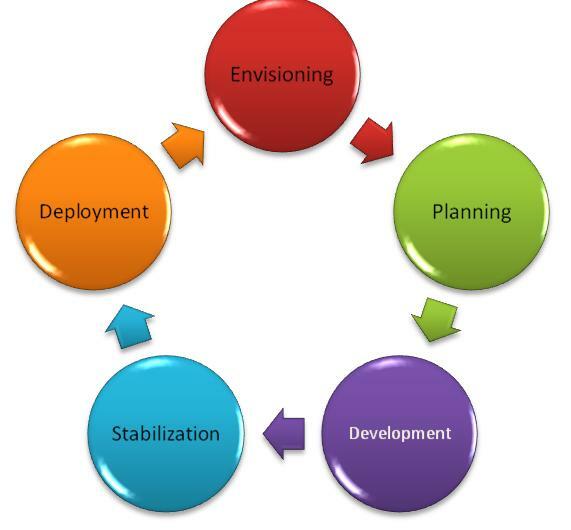 MSF suggests 5 various phases of software development process. It suggests various roles in the project team and then provides activity streams for each role for every phase. With Team Foundation Server (TFS), Microsoft has provided two versions of MSF. First one is MSF for Agile Development. It loosely follows the Agile principals. It provides broad width to the architects and developers to maneuver and create a technology project which meets the requirement with minimum efforts and time. It is a very informal process template. Second process template which is provided with TFS is MSF for CMMI model. It is more traditional and formal process template. It requires creation of voluminous documentation and strict adherence to that documentation while creating the technological solution. While MSF for Agile can be successfully adopted for small to medium projects, it may result in chaotic situations for major and large projects. For such large projects MSF for CMMI may be more appropriate choice. Most of the software development companies may not be able to adopt any of the MSF process models as they are. They may defer on some of the issues in both of them. It is then necessary to find the one process templates, which is nearer to the process that the organization wants to follow and then modify that process template to match the process as to be followed by that organization. This modification may contain adding or removing certain activities during some phase or other. It may also contain modification of order in which these activities are conducted. In addition to the roles and activity streams, these processes templates also provide a blueprint for various work items, structure of the source control, templates to documentation and prototype of SharePoint portal which is to be created for a project. Work Items are named collection of data items which are linked to some concept of the software development project like tasks, bugs, scenarios, issues etc. We can treat them as editable tags which are attached to a product. These work items are used for tracking the progress of any project as well as to modify status of the project. 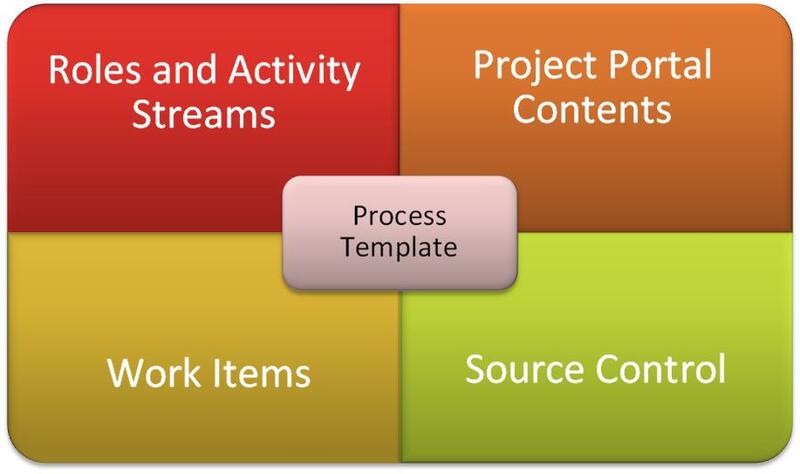 Process template provides initial list of work items to be created for a team project. MSF for Agile includes five types of work items – task, scenario, Quality of Service Requirement, bug and risk. It includes roles for – Business Analysts, Project Managers, Technology Architects, Developers, Testers and Release Managers. It specifies work streams for each role in each phase of the software development lifecycle. It lists various documents which are desired but does not make any compulsion of creation of those. MSF for CMMI Process Improvement enumerates 7 types of work items - Task, Change Request, Risk, Review, Requirement, Bug and Issue. The roles it specifies are Program Management – Similar to traditional project management, Solution Architect, Developer, Tester, Release / Operations, User Experience and Product Management – Business Analyst. Modifications of process template as provided out of box by TFS can be done by modifying the .xml files that are provided along with TFS. It can be done manually as well using some third party tools. Modifications of process template may involve addition and deletion of some work items and / or their order. It may also involve creation of new work item types or modification of existing work item types. For example we may add a nonexistent work item named “Issue” or we may modify existing work item called bug to add some property which is not provided by TFS. As the term itself suggests, modification of process template involves starting from some existing process template. We may start from whichever existing process template that is near to the one we desire to implement. 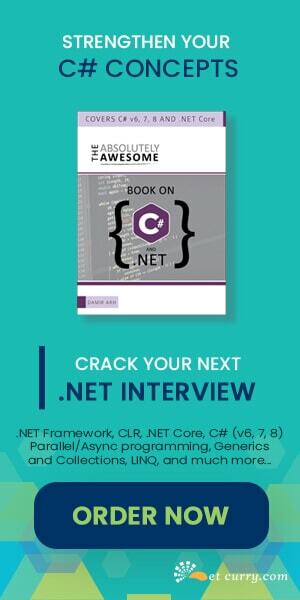 It may be the template which has come out of box with VSTS or it may be one that is already modified earlier. At the same time, we would like to include activity for Risk Analysis in the list at the end. We start with creating a dummy project which uses MSF for Agile. After the team project is created we use Team Explorer to export the MSF for Agile to a temporary folder. In the team explorer we right click on the team foundation server name and select Team Foundation Server Settings >> Process Template Manager. 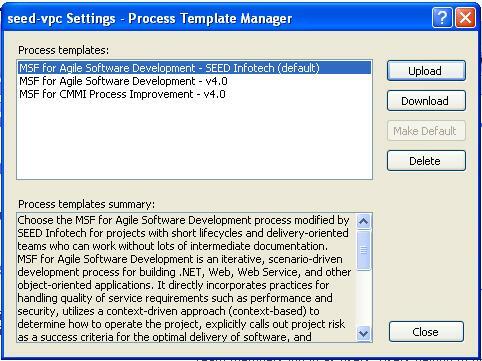 In the windows for Process Template Manager we select MSF for Agile and click the Download button. We are asked to provide the name of folder where the configuration for template will be stored temporarily. Structure of the created folder is as in Fig 1. In addition to these folders, it also contains a XML file name ProcessTemplate.xml. This XML file contains the overall configuration of the template. It provides a sequence of activities which need to be conducted as part of the team project creation process. The shown folders also do contain XML files which further define the activities minutely. ProcessTempalte.xml begins with name and the description of the process template. We can modify these to reflect our own name and description. Then it specifies which plug-ins will be used during team project creation process for configuring the project in a particular way. Next it provides names of the groups of activities to be called in sequential order. Each group of activities is specified in each of the folders as shown in Fig.1. The process is as shown in Fig.2. It begins with creation of the structure of the project which is specified in a xml file named classification.xml inside a folder named Classification. This file contains the name of the plug-in to be called as well as configuration for Iterations in project with their names and Areas to be configured. Iterations help in reducing the risk in the project by breaking the project in smaller cycles which can be conducted in a sequential order depending upon the success of the earlier one. We may have iterations like, “Core Functionality”, “Localized for Spanish” etc. in a sequential order. Area is a node in the features hierarchy for a particular feature. An example of area could be “Bluetooth integrated input”. 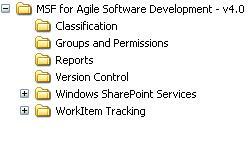 Configuration folder also contains a list of mappings of work item tracking fields which is how the work item data is stored in Team Foundation Server to fields in MS Project 2003. These mappings are stored in a xml file named FileMappings.xml. Next set of configurations task that are executed are for creation of default groups and their permissions. These are provided in a xml file name GroupsAndPermissions.xml in Groups and Permissions folder. MSF for Agile by default creates three groups namely readers, contributors and build services. It assigns each of them appropriate permissions. Once the project structure and groups are ready the next task is to create the project portal. During this task, it creates a Share Point Portal for the team project and then uploads process guidance, Reports of SQL Reporting services, various document templates and various project files and excel worksheets which will be used for project management later on. Configuration file for this is WssTasks.xml in the folder Windows Share Point Services. The Next task is to configure reports using ReportsTaks.xml file in the Reports folder. During this task a Report web site is created and various reports of SQL Server 2005 in .rdl format are uploaded. Now the work items and its tracking mechanism are configured. WorkItems.xml file which is in the WorkItems Tracking folder first enumerates various work items like tasks, bugs, risks etc. supported by the process template. The definition for each of them is stored in respective xml files in the TypeDefinitions sub-folder. These xml files provide the information regarding data fields and their default values, possible values and markup of how to show them in the Team Explorer. After definitions it configures default set of work items to be added when the project is created. Each added work item has the fields set to some default values. The last section in the WorkItems.xml is to configure the queries which are added by default. Each of the query uis configured using .wiq file in the Queries sub-folder. During our walkthrough we will modify this section to delete some tasks and add other task. In the WorkItems.xml file. The last task is to create the source control for the project. It is configured through VersionControl.xml file in the Version Control folder. It creates the source control and configures the permissions for various users as well as sets the check-in policy. It also configures whether multiple checkouts are allowed or not. Now we get down to modification in the process template. We have already downloaded the process template for MSF for Agile and stored it locally in a temporary folder. Next task is to modify the WorkItems.xml to delete task work items for migration of Source code and work items and add a task for creating the risk analysis document. Save the WorkItems.xml file. Now open the ProcessTemplate.xml file and change the name and description to reflect the desired one. I changed the name to “MSF for Agile Software Development - SEED Infotech” and the description to match it. Save the ProcessTemplate.xml file and close both the xml files. Now we are ready to upload the modified template back to TFS. We reopen the Process Template Manager from the Team Explorer. In that window we click on the Upload button and provide path of the temporary folder where we have stored the modifications. We should give the name of the folder which contains the “ProcessTemplate.xml” file. After the wizard completes, we can see our modified process template in the available templates list as shown in Fig. 3. We can select it and click on the make this template default button to make it default while creating the next team project. We can test that by creating a dummy team project and selecting the modified process template for it. When the project is created, we can have a look at the Work Items which should show as in Fig. 4 the work items we had retained in our process template. Microsoft Visual Studio Team System (VSTS) provides customizable Process Templates. Since every organization has its own process of software development, it is not possible to work with the standard processes which come out of box with VSTS. With modification in the xml configuration files which are downloadable from Microsoft’s site, it is possible to create our own process template. Dear Subodh, It is an excelent article, could you please let me know, where I could found more information about Process Template Modification?. Actually I am customize the process template in the company I am work. They want to used Visual Studio 2008 in Team Fundation Server Power Tool using Agile Software template with Scrum methodology. I hope that you have downloaded and are working on the process template for Scrum which is created as a community collaboration effort on CodePlex. That can be an excellent starting point for you to do customization. 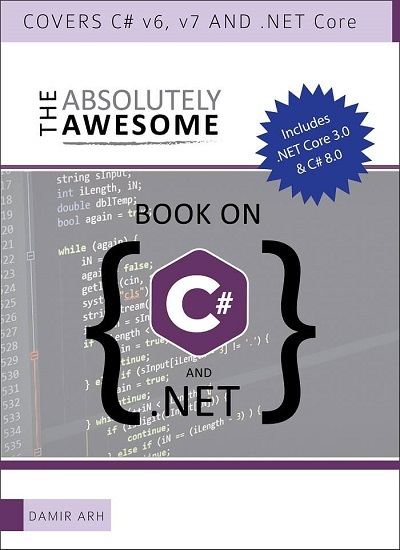 Please go through other articles in this series on www.dotnetcurry.com like Workitem Type Customization etc. let me know if you require any further information.